Whilst Ubisoft have not yet offered any confirmation as to whether Wii U early adopters will be able to purchase anything other than the standard edition of Assassin’s Creed III, it would appear Amazon UK have broken silence. The online retailer is now listing that the Assassin’s Creed III: Join or Die Edition will be available for launch on November 30th, which is a welcome decision to those, like myself, that have decided to wait to play the game on Nintendo’s new console. 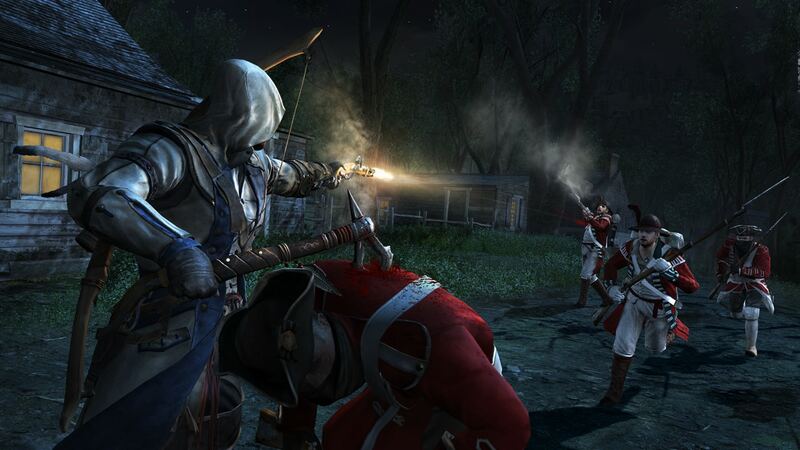 Having already been available to pre-order for Xbox 360, PlayStation 3 and PC versions, this contains a copy of the game, an Assassins medallion, the “Ghost of War” single-player mission, “The Sharpshooter” multiplayer package, and George Washington’s notebook, which details truths and secrets about the Assassins and Templars during the American Revolution.